Every smart business owner understands the importance of having an online presence. Not harnessing the power of the internet is a huge mistake that can cost a business dearly. If you own a business and have not gotten it online yet, then you are behind. You are losing out on all the potential that being online can offer. The first thing you must do to establish your online presence is to create a website. There are many different options in how to do this, but it is essential that you ensure your website is professional, easy to use, and communicates your message clearly. It must also be hooked into social media and have proper SEO. This can be difficult to accomplish all on your own. That is why many small business owners decide to hire a company to design their websites. You might think you can slap up a website and everything will be fine, but it doesn’t work this way. There is too much competition. A well-designed website is a must if you really want to use the internet to your advantage. Here is a look at some of the reasons why you must be focused on presenting a quality website to your customers. Online, your website it exactly the same as your physical store or location. You wouldn’t expect customers to come into a building that is falling apart, dirty, and disorganized, so you shouldn’t expect your online customers to come to a website that doesn’t function properly, is hard to navigate, and doesn’t present information clearly. 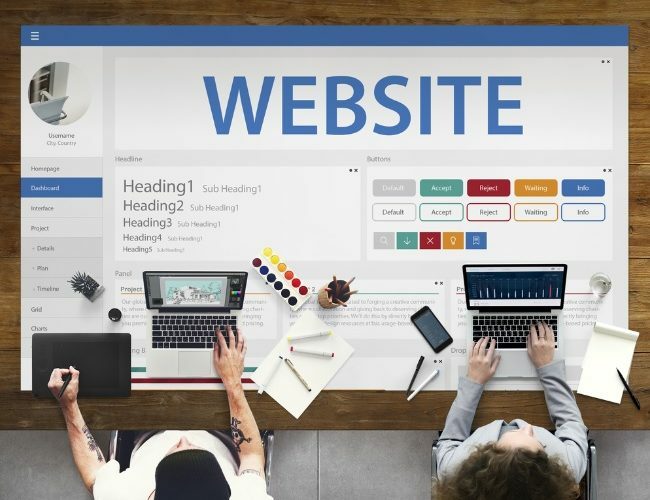 If you focus on good small business website design and create a strong website, it can be inviting and encourage customers to do business with you. It is a great way to communicate sales, showcase your expertise, and sell products. If you offer a service, it can even be used for scheduling appointments. Websites are also great for answering frequently asked questions and providing more information about your products, services, and company. There’s a reason why so many people are turning to online shopping options. They simply don’t want to deal with the traffic, the crowds, and the general hassle of going to a physical location to shop. They love that they can go online, enter a website address and get what they need with a few clicks. If you don’t have a good website, then you are missing out on a large segment of the market who are now shopping mainly online. Even if you only offer your services in your local area, people are still using the internet to find where they want to shop. They may be looking for stores like yours in the local area and go online to do some research and plan where they are going to go. If you haven’t created a website, then consumers won’t be able to learn about your business, which means they will shop with your competitors. Having a website also allows you to tell consumers about your business. They get to learn about who you are and what your business is about. People want to know more. They no longer want to shop at an anonymous store. They crave that connection, which a website can give them. Because so much is done online these days, your business has to have a website to stay competitive. If you fail to create a well-designed website, you will likely lose out. It can be a major boost to your business and your bottom line if you simply create your online presence. Allowing customers to be able to research your business and see what you have to offer before they shop is something people demand these days, so don’t miss out. Create your business website today.